Offered June – August. Registration for summer 2019 is now open. 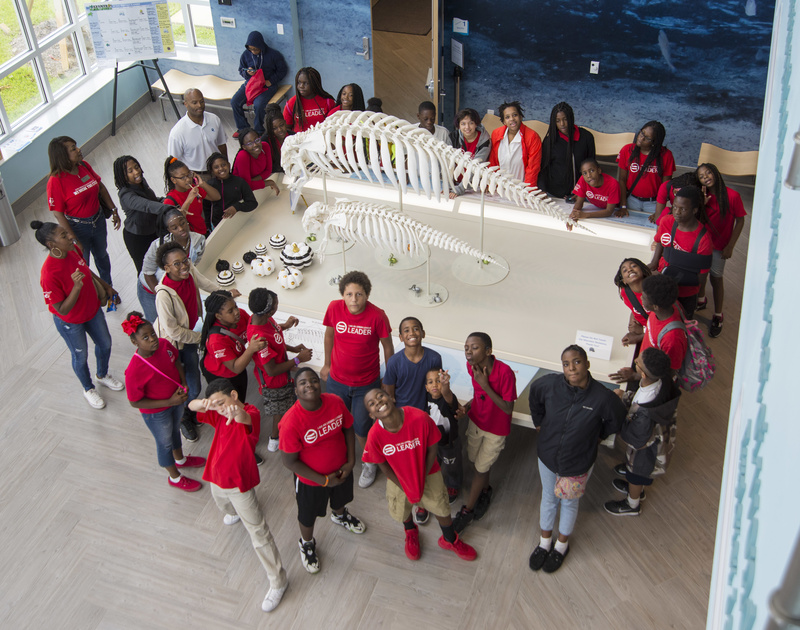 As a field trip destination, Manatee Lagoon welcomes summer camp groups to help educate youth about manatees and Lake Worth Lagoon. Our 90-minute program options offer a look into the world of manatees and their local habitat, Lake Worth Lagoon. 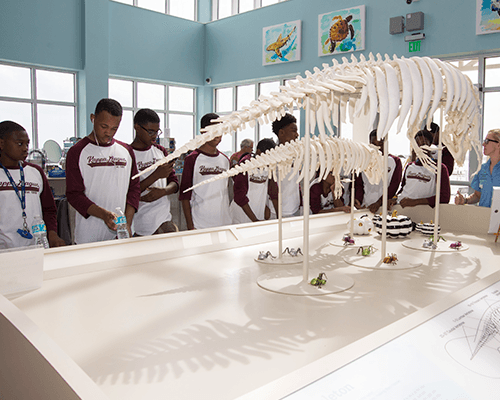 Depending on the program selected, our Manatee Masters may touch on manatee biology and ecology, share details about the lagoon’s estuarine habitat and suggest ways in which students can protect their local environment. They will also explain the special role that Florida Power & Light Company’s adjacent Riviera Beach Clean Energy Center plays in ensuring that manatees stay warm during the cooler winter months. Visiting groups will rotate through three stations which may include presentations or activities in our exhibit gallery, classroom and observation deck depending on program selected, weather and other factors. All group visits are by reservation only. Group size – minimum of 10 and maximum of 57 students, plus up to 12 chaperones, but no more than 65 students and chaperones combined. Large groups will be split into smaller sub-groups to rotate through the stations. Chaperones – at least one teacher or chaperone per ten students is required. Please note that due to space limitations, not all chaperones may be able to attend one of the three stations in the program rotation. Picnicking – picnic tables are available on the Manatee Lagoon grounds on a first-come basis. Manatee Lagoon is not able to store lunches or coolers for visiting groups. 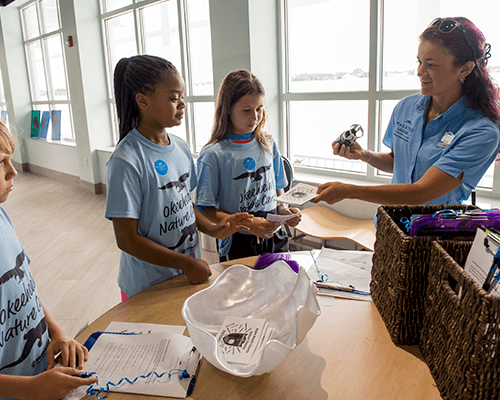 Manatee Lagoon offers summer camps the opportunity to reserve a visit that will offer campers a fun and engaging introduction to “all things manatee” and the Lake Worth Lagoon ecosystem. 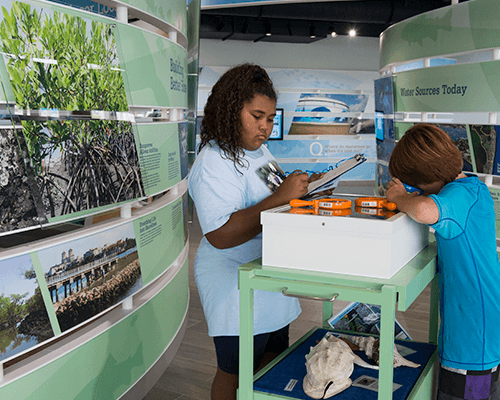 The program will be tailored to various age levels and may include an exhibit gallery tour, observation deck viewing and marine-science focused activities. Please note that while most manatees are up north during the summer months, there is almost always something to see in the waters that surround our center. Available days/times – Tuesday through Friday, June 1 through August 20, starting at 10 a.m. or 12:30 p.m. Cost – $5 per camper; $50 minimum; chaperones are complimentary; free parking. A deposit of $50 will be due at the time of registration. Please register for the maximum potential number of campers you anticipate to ensure we plan our staffing accordingly. Your number of campers may be adjusted down and your remaining balance adjusted accordingly. The remaining balance will be due on the date of the scheduled visit and can be paid with a credit card or check. Cash payments are not accepted for summer camp group visits. Cancellation Policy: Groups who cancel 30 days or more prior to the scheduled visit will receive a full refund. Any requests for cancellations within 30 days of the scheduled visit will not receive a refund, however groups can request to reschedule for a different date and transfer the deposit to that reservation. The rescheduled date must be within the same summer and is based on Manatee Lagoon’s availability. If there are no available summer camp group visit sessions for the remainder of the summer, the group will not receive a refund. In the event that the scheduled visit is cancelled by Manatee Lagoon staff, a full refund will be issued within 7-10 business days.